Take a walk on the wild side with Plush Fur Dinosaur Hat With Long Mittens and Claws. 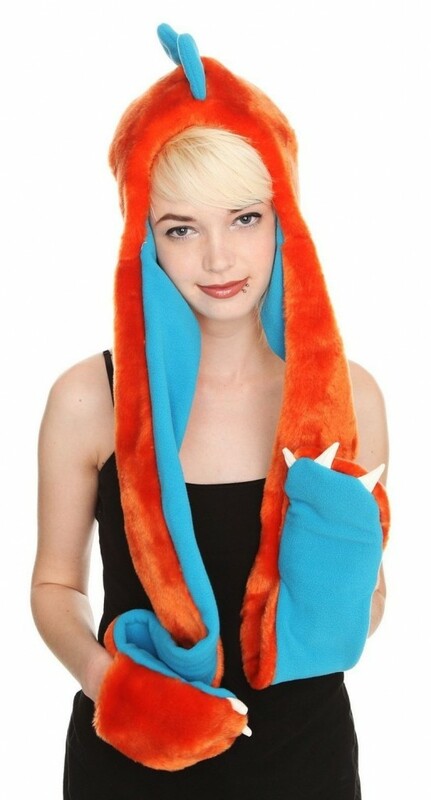 Keep your ears and hands warm in fashion and style with this unusual orange and blue furry dinosaur hat. Your dinosaur hat features blue spikes across the top with long hanging blue-clawed mittens. Great for Halloween or any time the dinosaur in you feels the Ice Age coming on.